Johnny Depp needs surgery on his hand. The 51-year-old actor suffered an injury while in Australia shooting Pirates of the Caribbean: Dead Men Tell No Tales on Sunday. 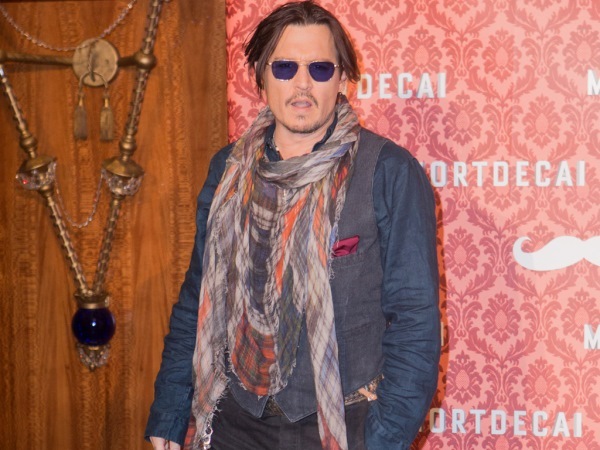 Following the incident, which occurred off-set and not during filming, a representative for the film told JustJared.com that Johnny would have to fly back to America for an operation. The spokesperson added that the production would only be “minimally impacted” by Johnny’s injury. The newlywed, who married actress Amber Heard (28) on February 4, is reprising his role as Captain Jack Sparrow in the latest instalment of the Pirates franchise. This film will tell the story of a boat full of ghost pirates, led by Javier Bardem’s character Captain Salazar, who manage to escape from the Devil’s Triangle and make it their mission to kill every pirate at sea. Production commenced in early 2015 and will continue until the middle of the year, with the film still expected to be released by Disney in July 2017. Joachim Rønning and Espen Sandberg are directing, with Jerry Bruckheimer producing. Johnny previously said he wasn’t sure if he would star in another instalment. However, his mind was changed after the last film managed to gross more than $1 billion worldwide. Speaking previously about playing Jack Sparrow, Johnny told About.com: “I kind of like everything about playing him. I feel like he's just good fun to play. You get to add stuff and try things and get away with it, just to see what you can get away with. I've been very lucky so far, and he's just a really fun character. I certainly wasn't ready to say goodbye to him after the first film. I felt like there was a lot more to be done, more fun to be had."